Relationships Are All About The Friendship. Have a friendly conversation. Set time aside, regularly, to talk as friends. Take turns picking a topic. For example, your goals and dreams, a recent book or movie, your family of origin or current event. Attend to the little things that show love and affection. Regularly do things that build love and friendship in the relationship. This doesn't mean keeping score. Give gifts to one another, offer encouragement, spend time together and be affectionate. Catch your spouse doing good. 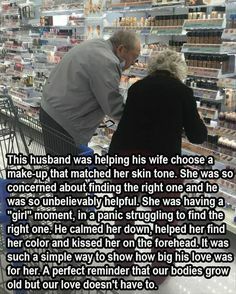 Notice when your spouse is kind and generous and express gratitude. You can say it or write it in a note. One spouse wrote, "Thanks for listening to me complain about my supervisor last night-it has really helped me get through the day." You can also brag about your spouse to your friends and family. Hold a life story interview. Ask your partner about their life story. Good interviewers ask good questions and listen intently. They also prepare for the interview. Try to draw out one another as you share together as friends. Practice "positive sentiment override." After you have been with someone for a while, it can become easy to focus on their negative qualities and ignore their positive qualities. Negative sentiment override can ruin a relationship. Always work on building the positive sentiment override in your relationship. This is where the 5 to 1 ratio comes in. This is where it will take five positive interactions to override one negative interaction. Turn towards, often. This can be as simple as exchanging a smile with one another. The more you turn towards one another the better. This is where the small things really add up. Send a nice text to your partner during the day and let them know you are thinking about them. Go out on a date. Think back to when you first met. You took the time to plan the date or to get ready for the date. Then, life happens, kids, work and the house. Don't let these things take priority. Make time to date once a week. Have fun together. The difference between a good relationship and a bad relationship, is fun. Laugh together, reminiscence about the good times. Start to prioritize fun in your relationship. For more ideas on nurturing the friendship in your relationship, check out The Seven Principles for Making Marriage Work by Dr. John Gottman. The good news is it's not too late to get help for your relationship. Many couples go through ups and downs. The Gottman Method for Couples has helped many relationships, and it can help yours. Lianne Avila is a Licensed Marriage & Family Therapist is San Mateo, CA. She has taken all three trainings in The Gottman Method for Couples. For more help, please visit www.LessonsforLove.com.